We found these cute bags in the dollar section at Target. Then at Michaels we picked up these creative shapes. 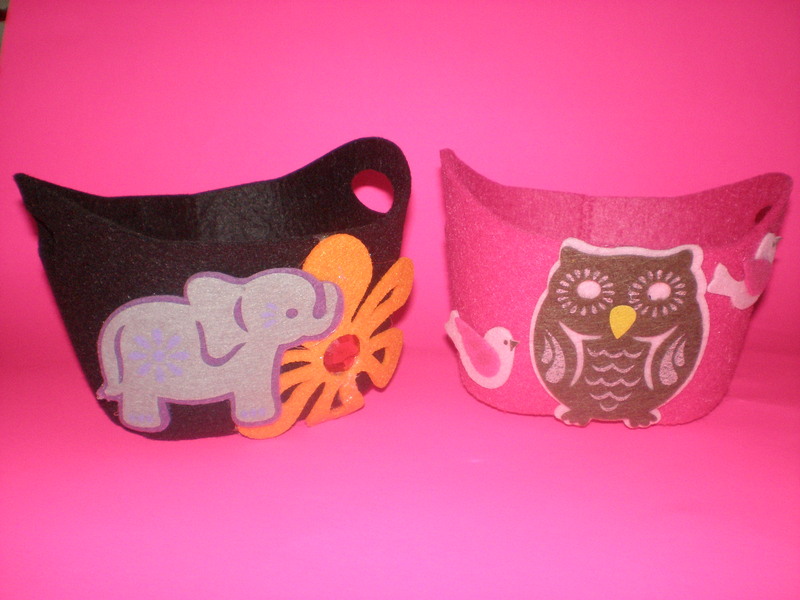 It was easy to make the felt bags and magnets. 1. 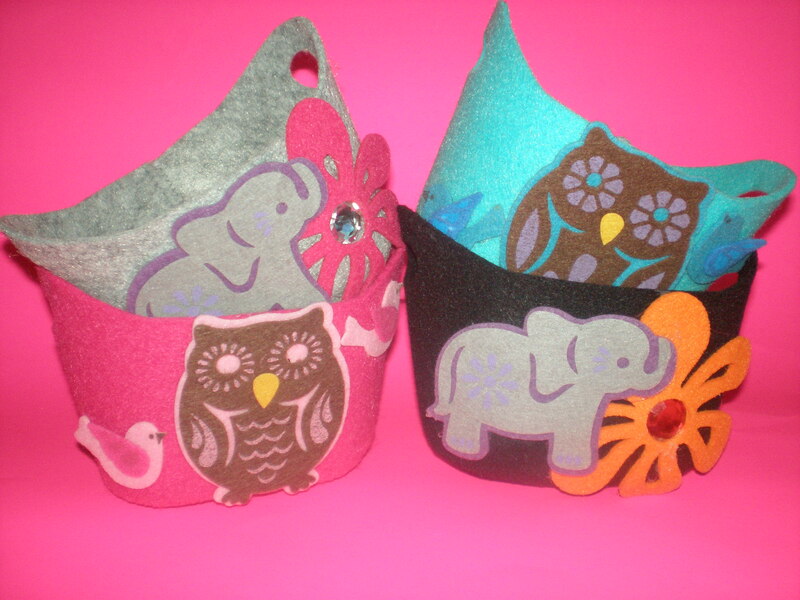 Attach felt shapes and rhinestones to bag using hot glue. If shapes already have adhesive, peel off plastic back before gluing. I still used glue on the shapes with adhesive. 1. Glue gemstone to felt the fun felt shapes. Let it dry. 2. Cut around adhesive backing if felt shapes have backing. Do not remove backing. Leave backing on if it helps support the felt. 3. 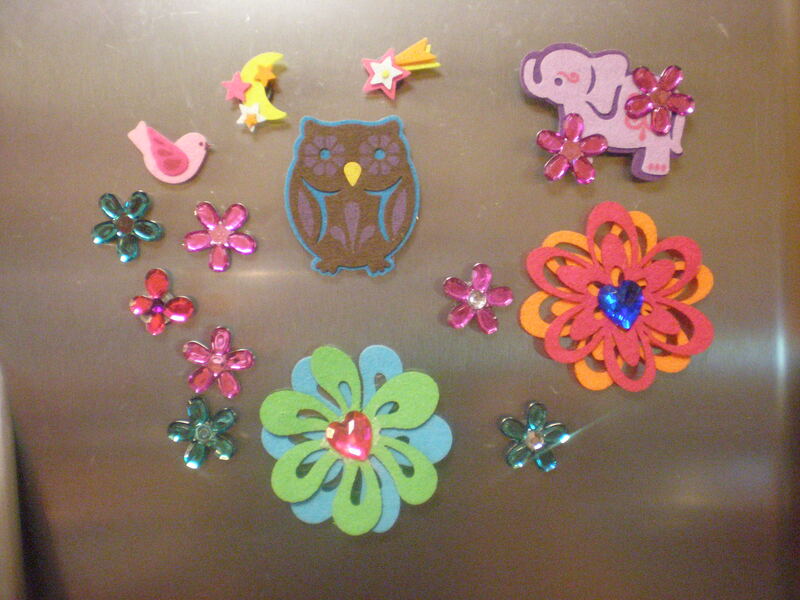 Glue magnets to back of shapes. Let it dry before testing it out.